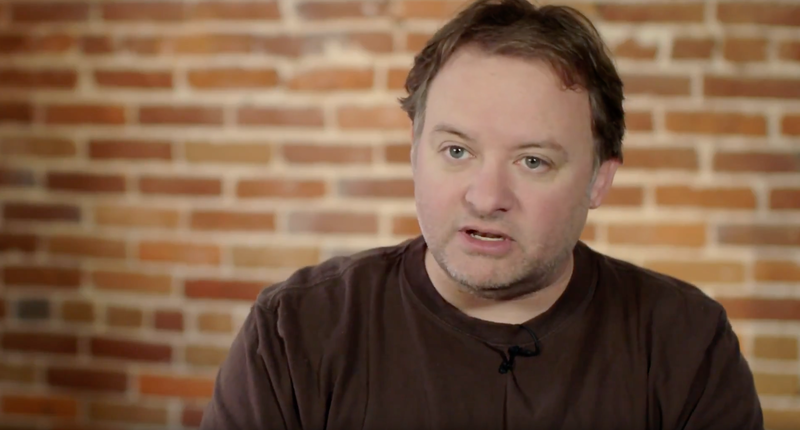 A fortnight ago we reported that Bartlet Jones, the studio headed up by veteran designer and God of War director David Jaffe, had to lay off staff and cancel an upcoming project. Since then, David Jaffe uploaded a pitch for another action-adventure project called Guardians. In a video posted to YouTube, Jaffe explains that the concept starts off with a van with seven teenage girls being taken to juvenile prison. The game would then centre on four of the girls, allowing the player to choose between which heroine they want to play. "Imagine Left 4 Dead but with demons instead of zombies," the video description reads. "You also get to play a playable prologue, about three or four minutes, that actually is the moment they got arrested and sent to prison," Jaffe narrates. The game then kicks off with those four girls immediately after a car crash, whereby they save the driver of the car - but condemn themselves to their death as a result. It's an intriguing concept. After the immediate sequence, it becomes clear that the game is more of a redemption tale for the four characters. Jaffe added that there would have been a mechanic where, if the player aced every level enough, the player would be sent back in time to the moment where the player character became more of a criminal. The reveal of Guardians comes shortly after Jaffe revealed that he was assessing whether Bartlet Jones' previous project could be funded via another method. "Right now, Bartlet Jones is gonna be a very small team pacing around our office with a gas lamp asking if there's a game ... if in a couple of weeks we decide it is, we'll get our heads back down and fight the fight. If not, we'll part as friends, raise a toast to Bartlet Jones and move on," the developer said at the time. Update: David Jaffe reached out via Twitter to explain that Guardians was a separate project to the one that Bartlet Jones recently cancelled. "I’m just sharing things we had in various stages of work - and there was a lot! - but the project the caused the layoffs is something we are not able to share," he said on Twitter. The original story above and headline has been amended to reflect this.